Stylish, rugged, and capable enough to tackle the wilderness. First of all, I’ll be honest. I’ve never liked pick-up trucks. I’ve never been interested in one, let alone drive any of those, but being a motoring journalist, I cannot nor will I ever be biased in every car I come across with. 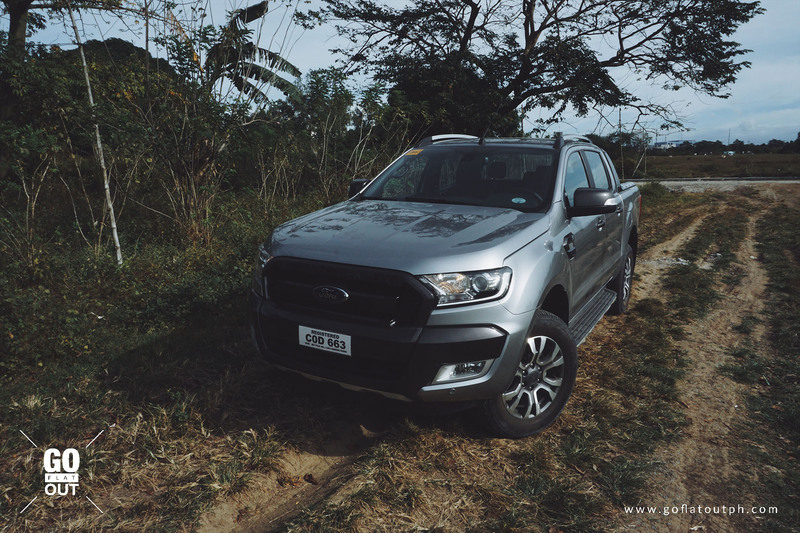 Back to regular tuning, while it may seem that there’s an infinite number of Ranger variants available today, this is Ford’s top of the range Ranger Wildtrak, and my goodness it looks menacing! From the front we have this strongly pronounced front grille that looks like it’s just going to eat whatever’s in front of it. 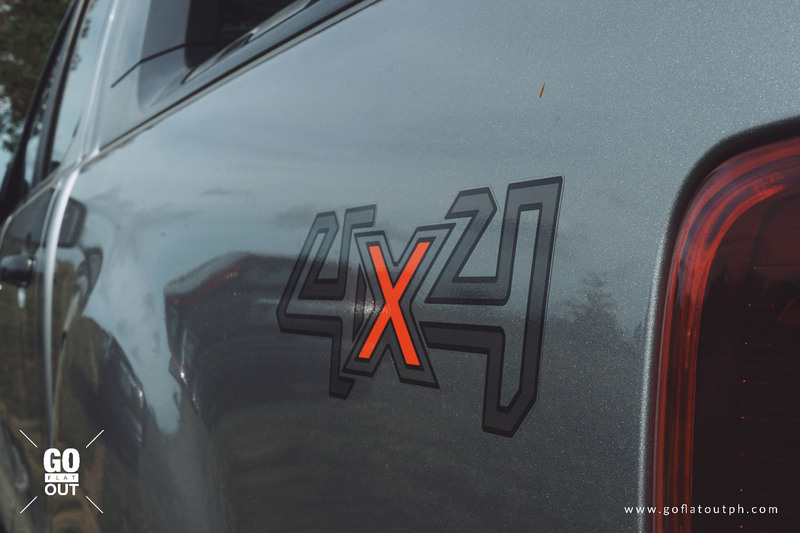 Although it has 4×4 written in the side, the Ranger Wildtrak is mainly leaning to a lifestyle vehicle so much as a working man’s pick-up truck. For instance, the main tray at the back, which roughly is about 1549mm long by 1560mm wide, has a number of tie-down points but two of them are located at the far end at the back of the cabin, making it very hard to get to. There are no exterior tie-down points which really should’ve been installed in the first place. However the back is good at storing camping gear and outdoor stuff like tents, or even fat people. My favourite part about this truck, is the cabin. It’s nice and plush, with the door pads and armrests covered in leather. The dash also has a faux leather surface with orange stitching, which brings to mind rugged yet stylish Casio G-Shock. Not only does it look cool, it’s pretty hard wearing, too. 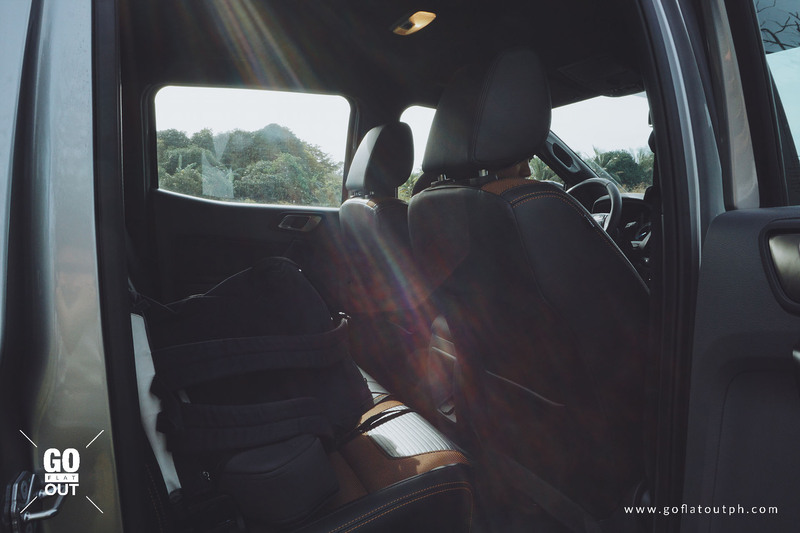 From the back seats, leg room is pitiful but thats okay, you don’t have to suffer cause you should always call shotgun in your friend’s Ranger, though the rear comes impressively with a 220V socket so you could plug in your coffee maker or rice cooker, plus other charging points. Also equipped as standard is SYNC3, now with built-in navigation. As ever, SYNC3 is equipped with smartphone integration through Apple CarPlay and Android Auto, plus the Ranger has more than enough gadgets should you fancy driving it as a daily. 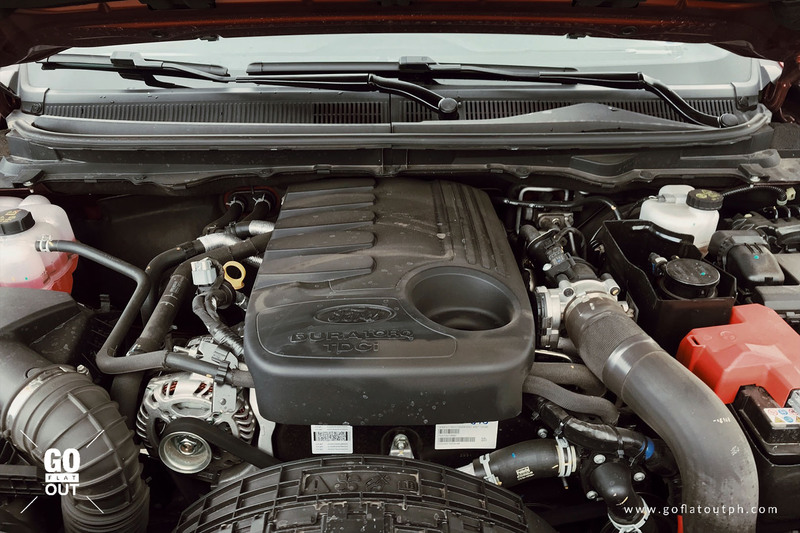 Under the hood, we have a 3.2 liter 5-cylinder turbocharged diesel engine, which puts out 200 hp @ 3,000 rpm and 470 Nm of torque @ 2,500 rpm, with power sent through a 4×4 system with a locking differential, through a 6-speed automatic (a manual is also available), and let me tell you that is one fast truck. The noise of the engine when you’re accelerating is just awesome for this pick-up truck. Of-course it’s the same unit as it’s in the Everest, and being of course the same vehicle from the Everest, its class-leading quietness and refinement is also present in this truck. How is it to drive you might ask? Well the 3.2 liter variant we have, feels very- fidgety. It does start out as a two wheel drive, but you have a knob that lets you switch it to 4H while driving. Now this affects manoeuvrability. So if you’re manoeuvring into the streets of Manila, you’re better off being in 2H. Hill Descent Control aids the truck in going down extremely steep slopes in a more composed manner. Now most cars nowadays comes as standard with tractional control. It can help the driver in many ways to prevent the car from skidding and slipping, but idiots like me love doing burnouts, donuts or power-slides. Let’s say, whenever you are stuck in a set of traffic lights, and you simply just stomp on the gas, it can break traction, and you will forever be seen as that douche bag launching a pick-up truck on a set of lights. 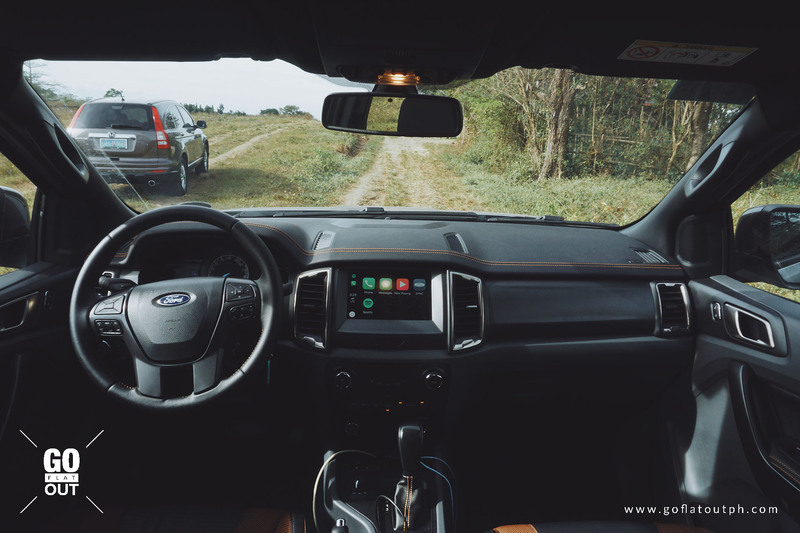 While this Ranger Wildtrak also uses an electronic power steering similar to the Everest’s, for some reason, this steering feels much more composed and well weighted. 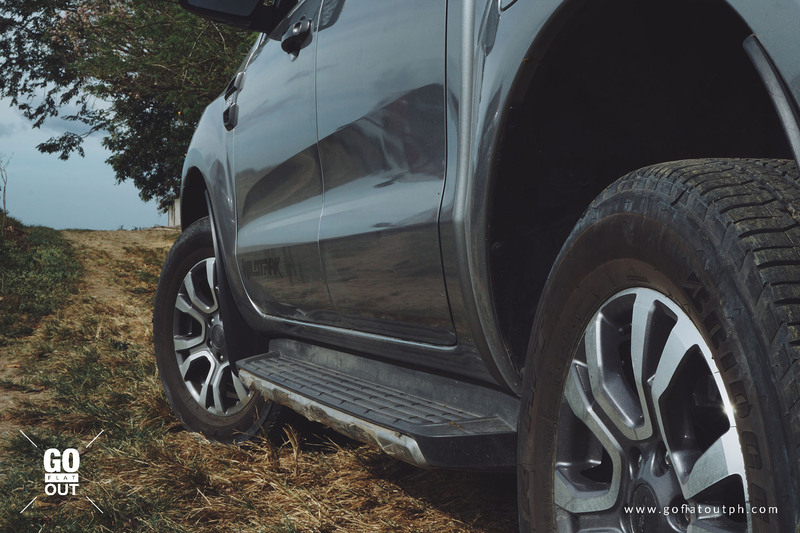 Unlike the one in the Everest’s, where it was spooky light, even at high speeds, the Ranger’s was fingertip light at low speeds, but weights up nicely at high speed, with even enough feedback for you to know what’s going on at the front wheels. It’s a confidence inspiring tiller, one that we hope to experience in the Everest, too. Combined with the composed suspension, this truck is quite fun to toss around some corners. For a truck with a traditional rear leaf spring suspension, it manages to ride well, avoiding the bouncy and harsh ride that other trucks normally have. 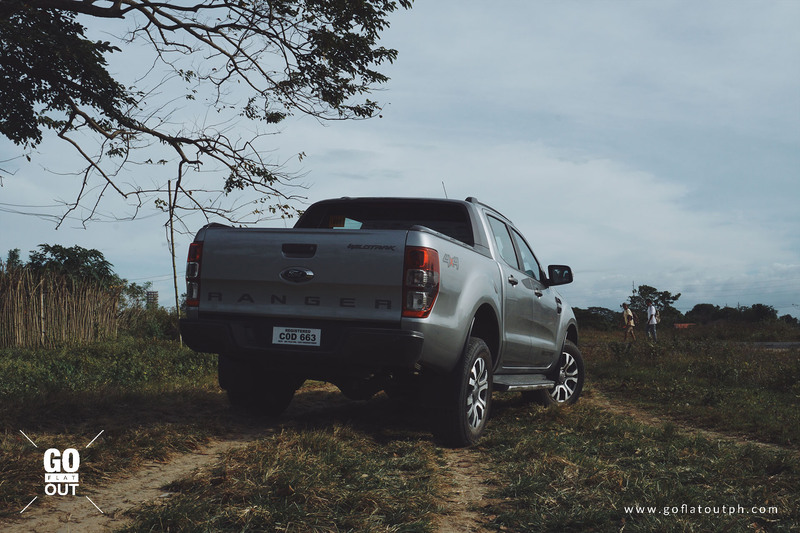 As this being a 4×4, I opted to test the Ranger in an off-road track, and so we did! Off-road, the Ranger feels quite at home, with it’s great suspension absorbing all the bumps and crests we drove by. My main concern was, how low that front bumper is, and the very sensitive parking sensors that really ticks me off every time a mosquito and even grass goes near it. However, it was capable enough to tackle the things we threw at it. From a day to day driving experience, the Ranger was an absolute joy to drive. Additionally, like the Everest, this one comes equipped with a list of impressive safety features, such Blind Spot Detection with Rear Cross Traffic Alert, Lane Keeping Assist, Adaptive Cruise Control, and Forward Collision Alert. If all else fails, there are 7 airbags, stability control, hill start assist, and for the 4WD models, hill descent control. 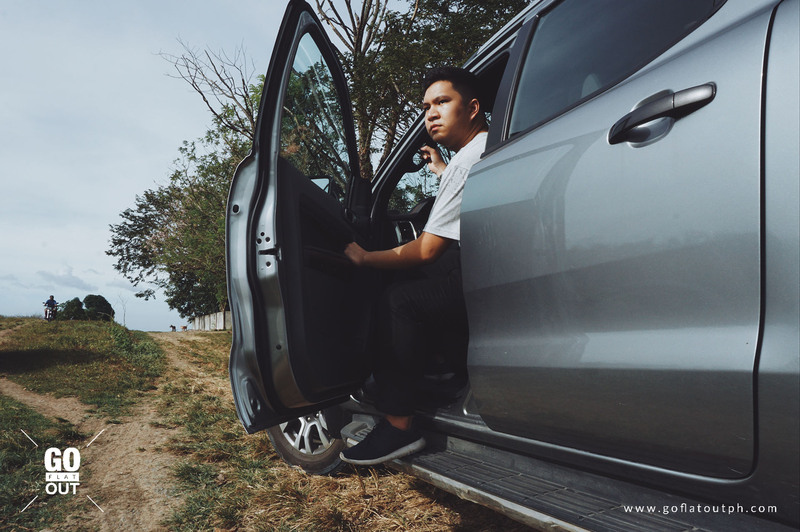 We can’t stress enough how Adaptive Cruise Control takes the sting out of highway drives, as the car brakes and accelerates on its own, reducing driver fatigue. 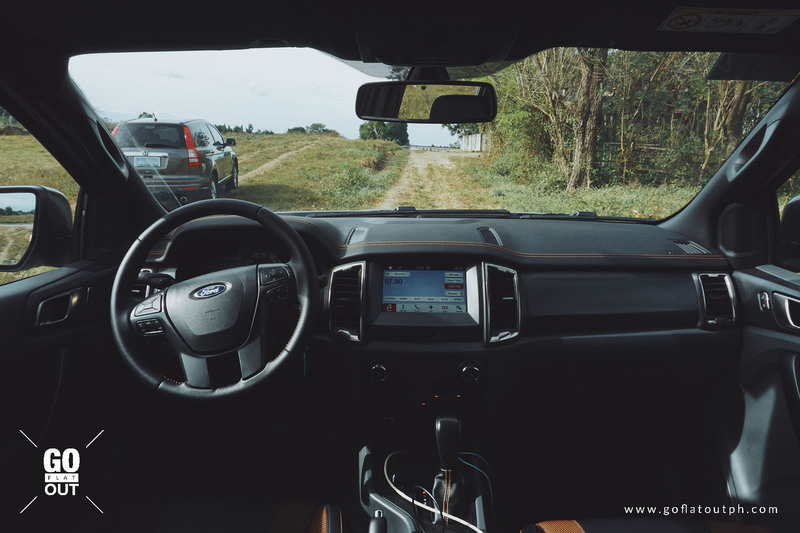 To know more how these features work, see Isaac Atienza’s review of the Ford Everest 3.2 Titanium+. 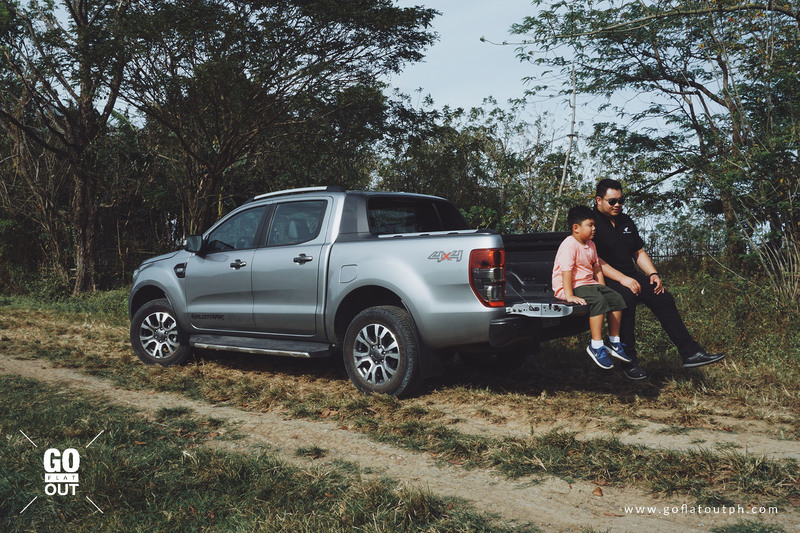 As a conclusion, the Ford Ranger Wildtrak, my first ever drive in a pick-up truck was really delightful. It has warmed me up to the point that cars in this segment can be fun to drive as well. The Ranger Wildtrak has surprised me in a very good way. It is a quirky yet capable working man’s vehicle that can be a very cool and fashionable lifestyle vehicle for those adventure seekers. Trucks have certainly come a long way since their days as mere workhorses. If the Casio G-Shock were to be a truck, it would be this Ranger Wildtrak, possessing a lot of style, while still being completely rugged and tough. At Php 1,628,000, excise tax price, it truly is a great contender to being one of the best pick-up trucks available in the market today.